An ideal tenant is every landlord’s dream. Once you find them, you want to hold on to them as long as possible. But how do you go about doing that? Here are some ideas that can help you keep your good tenants as long as possible. It doesn’t take much to make renters feel more appreciated. A housewarming fruit basket or flowers when they move in, a holiday card or may be some cookies during the Christmas season, or may be a newsletter with some helpful tips for renters. Staying in touch and showing appreciation is one way to make sure that your tenants know that you care more about them than just their money. You don’t have to insert yourself into their lives, but just letting them know that they are appreciated will go miles when it comes to a landlord-tenant relationship. If something breaks or if something isn’t working properly, the faster you can get the problem fixed, the happier your tenant will be. Whether it’s something simple like a squeaky door, or something more complex and expensive like a broken water heater, the faster you can fix the problem, the happier the tenant will be. For one thing, it shows that as a landlord you care about your tenants. While major things such as broken water heaters or no heat or air conditioning will fray anyone’s nerves, the fact that you had it fixed as soon as possible will make a difference. Things break down all the time — most tenants understand this — but the sooner you can fix it, the happier the tenant will be. 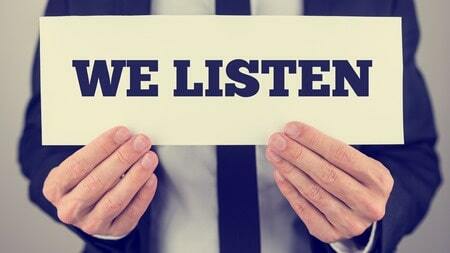 If your tenant has any requests or concerns, you need to at least listen to his or her problem. While you may not wish to fulfill the requests, you need to explain to them why you cannot do what they ask. If you can, or are willing to, say yes to their requests, then by all means, do it. Some requests aren’t so unreasonable that going a little out of your way isn’t a big bother. Month-To-Month leases allow the tenant to rent the place without a long-term contract. The problem with this is that your tenants can leave — and leave you high and dry looking for a new tenant. It’s better to have a minimum of a year lease — if not longer. You can offer a slight discount to a tenant who decides to rent for an extended period of time. Maybe you can offer a fixed rental payment in the contract, or promise that the rent will not go up for a certain length of time. One way to keep a tenant is to offer a lease extension for a year or longer is discounted. The discount could be anything from keeping the lease the same amount as they are paying now, or maybe a smaller increase than newer renters must pay. Maybe you could offer them a free months’ rent? By making your rental property more appealing, your good tenants won’t leave to rent somewhere else. Many landlords do not rent to pet owners or limit the size of dog or even the breed of dog. Being a pet-friendly landlord makes you and your properties more desirable. Pet owners are less likely to move if their rental allows them to keep their chosen pet. You’re more likely to keep good tenants because their animals are more accepted by you. These are some of the ways that you can hang on to your good tenants. Simply by being a good landlord and be conscientious and responsive when your tenants need help will go a long way toward keeping the good renters.